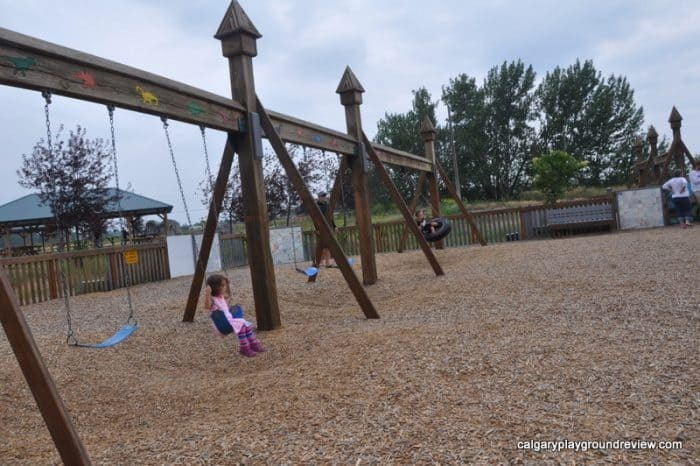 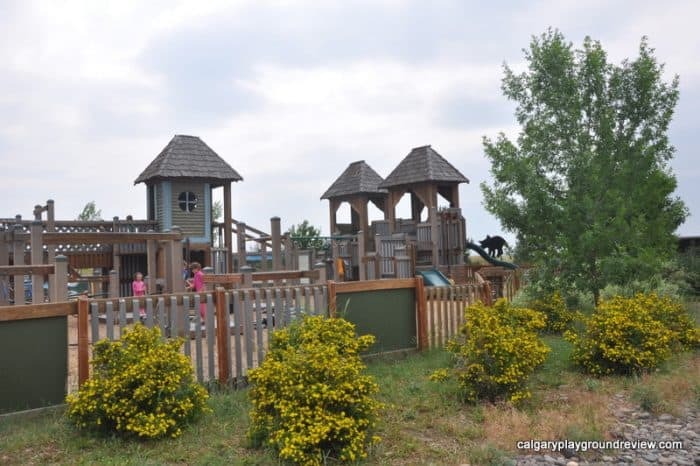 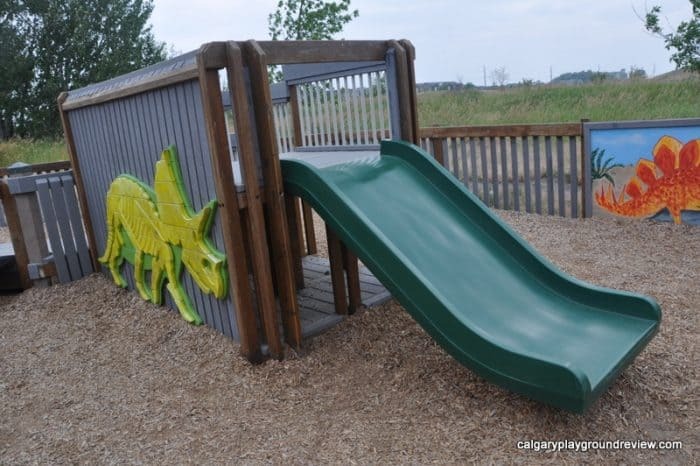 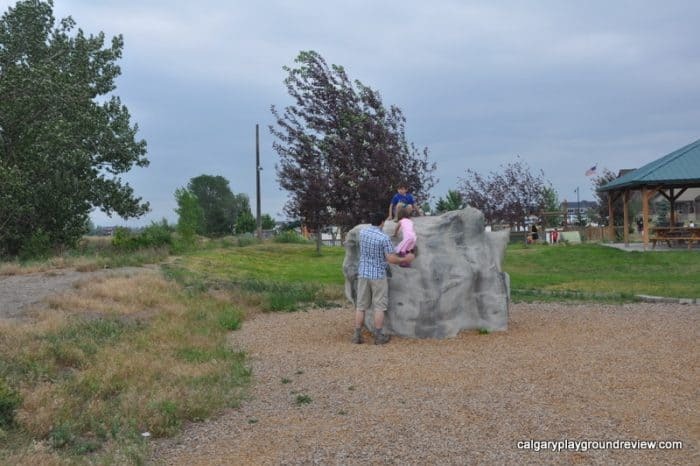 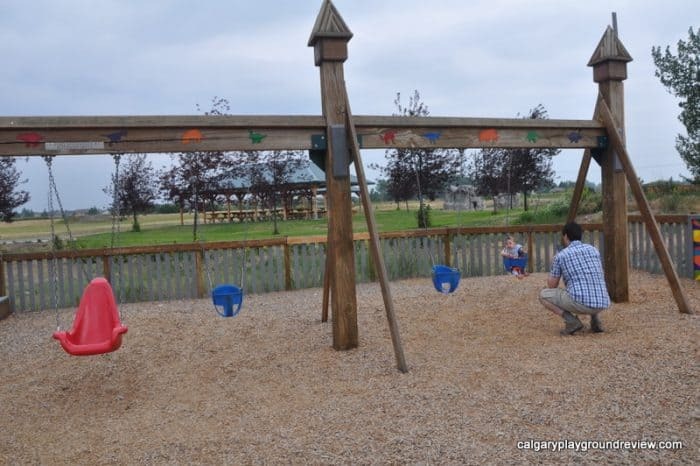 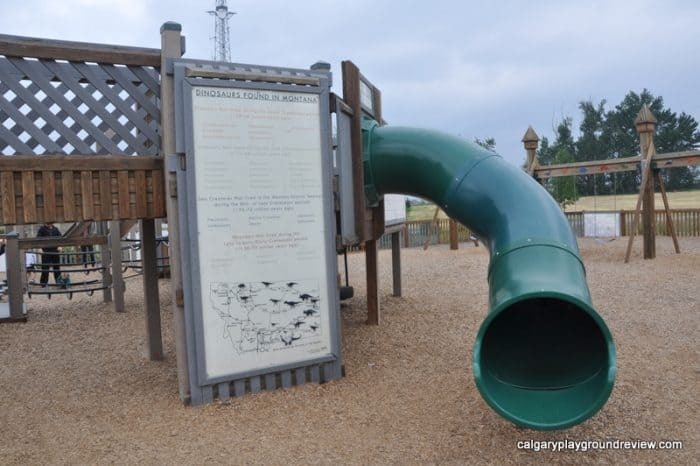 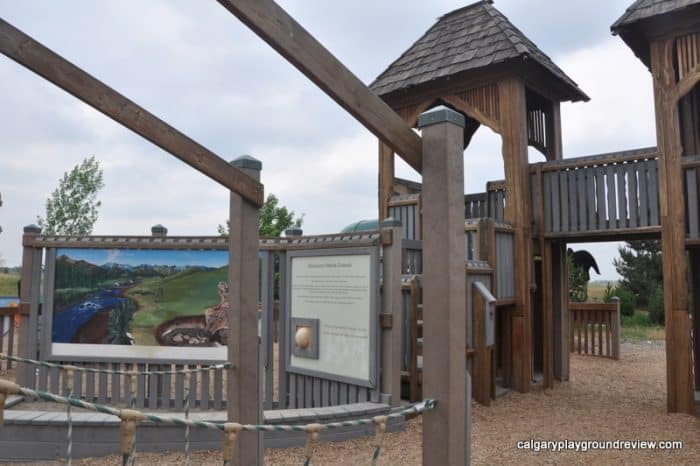 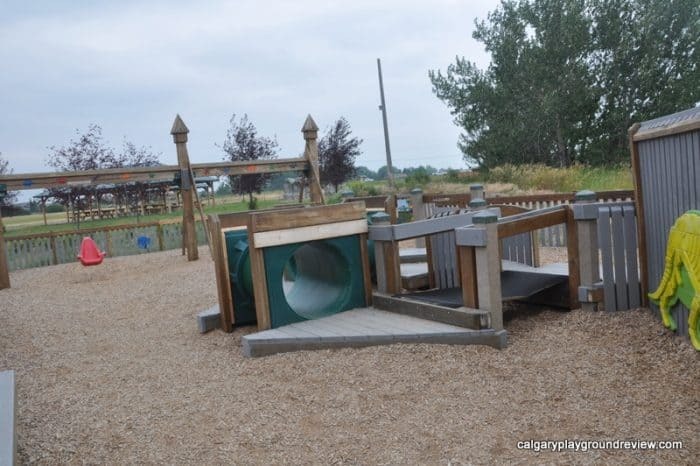 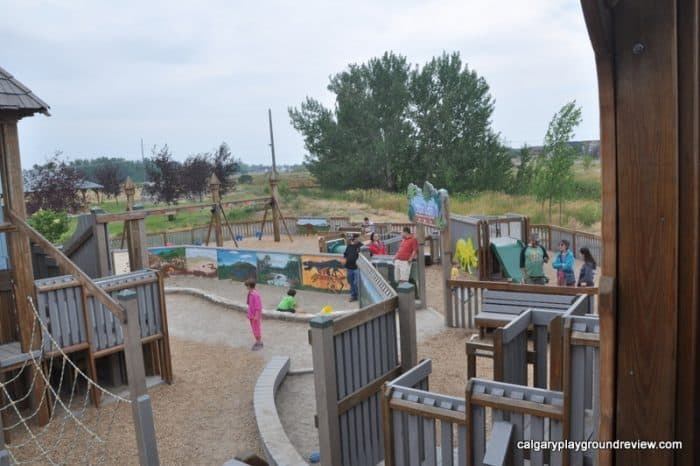 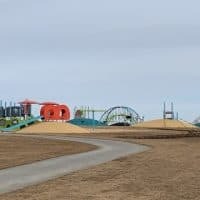 Features: Huge wooden play structure with a dinosaur theme – slides, dino dig; Smaller Tot area with toddler sized climbers and swings. 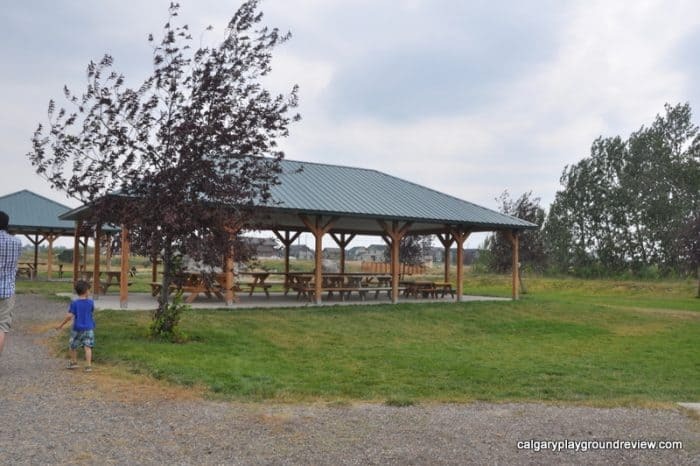 Surrounding Park Area: Located along Gallatin County Regional Park. 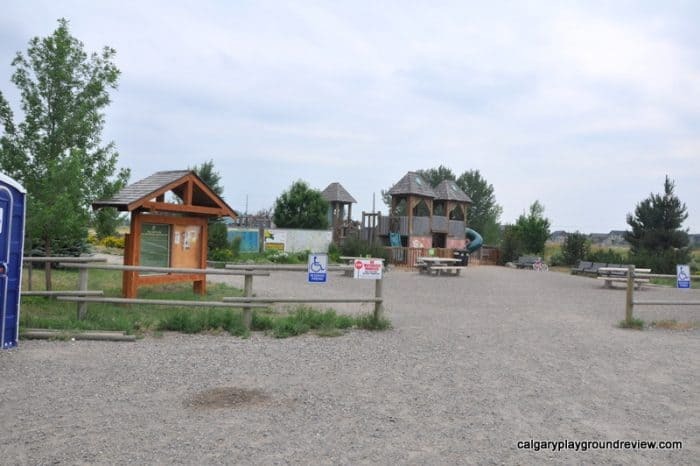 Walking paths, pond, covered picnic area, giant climbing rocks, skate park. 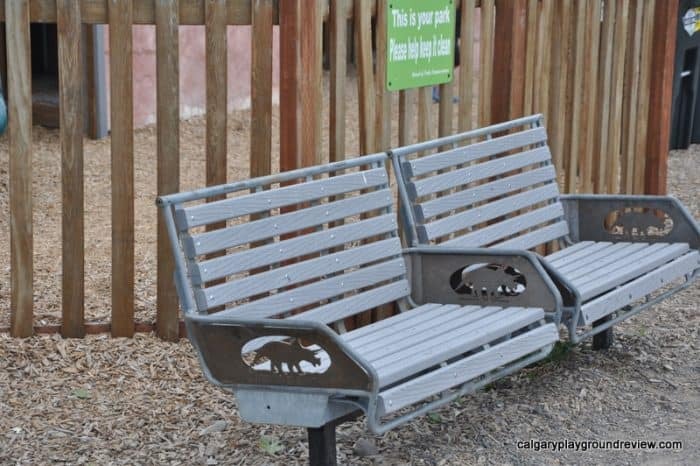 Seating: a few picnic tables outside the fence, several benches. 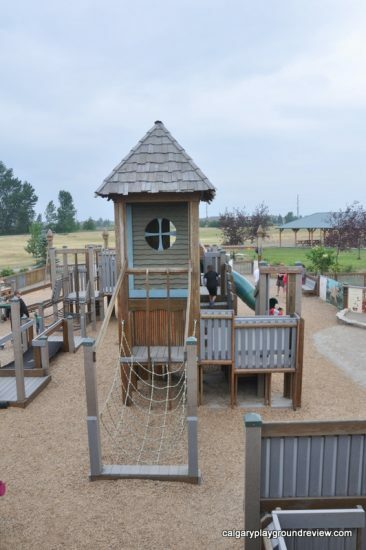 Overall assessment: This style of playground is popular in Montana. 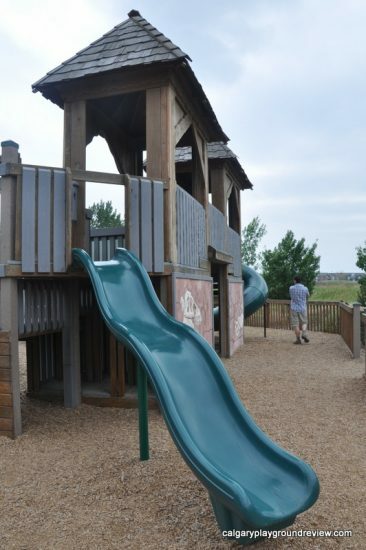 We’ve also reviewed similar ones in Helena and Missoula. 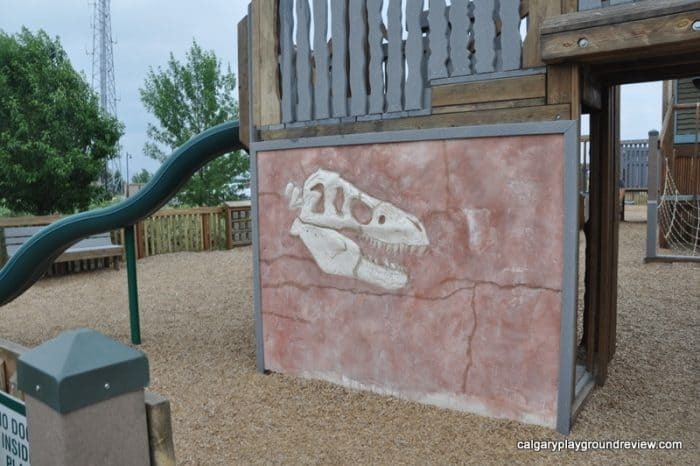 This one has a dinosaur theme which fits in well with the nearby Museum of the Rockies which has a large dinosaur exhibit. 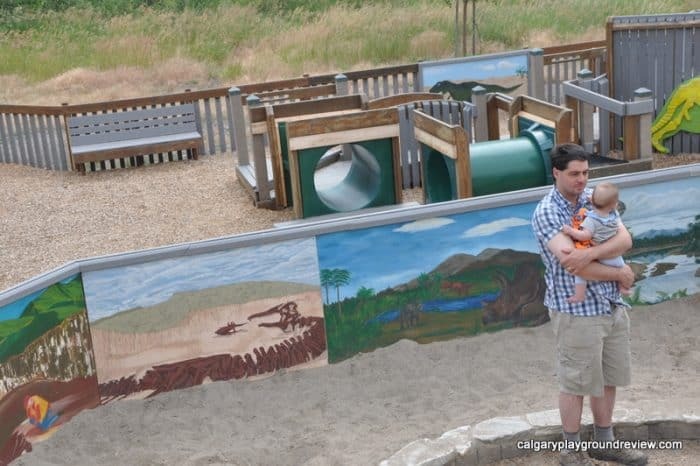 This playground has a lot of awesome detailing right down to the benches. 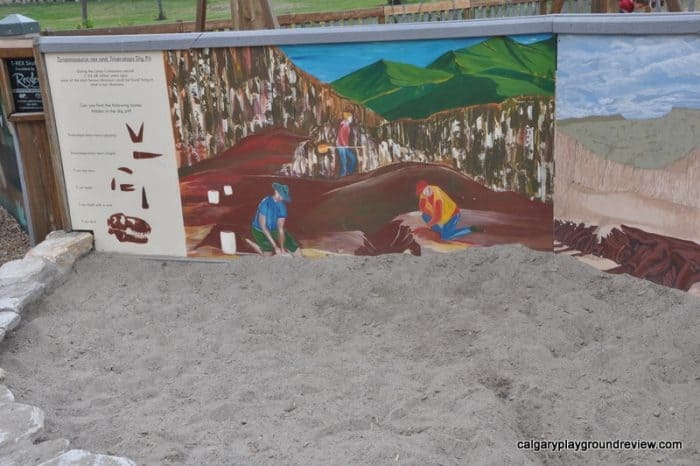 There is also some beautiful artwork. 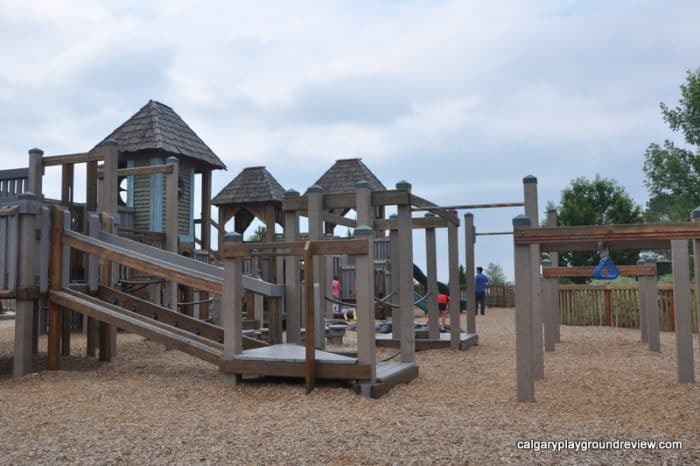 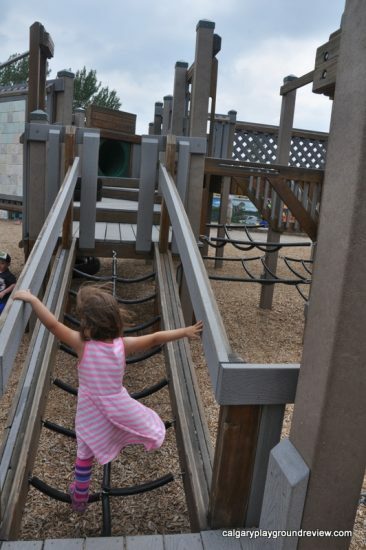 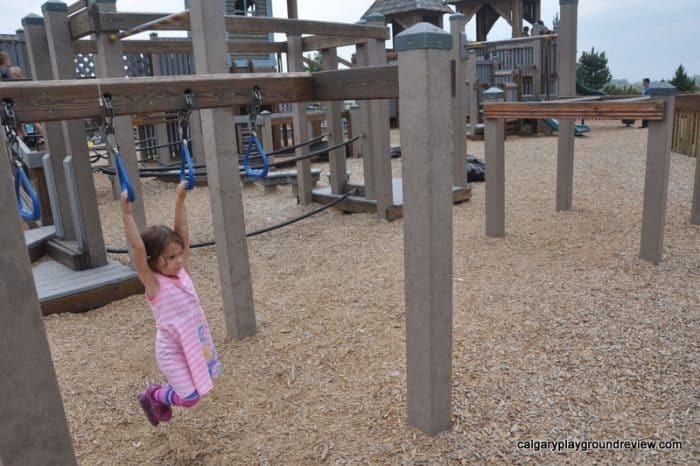 The playground is large with lots of space to run around. 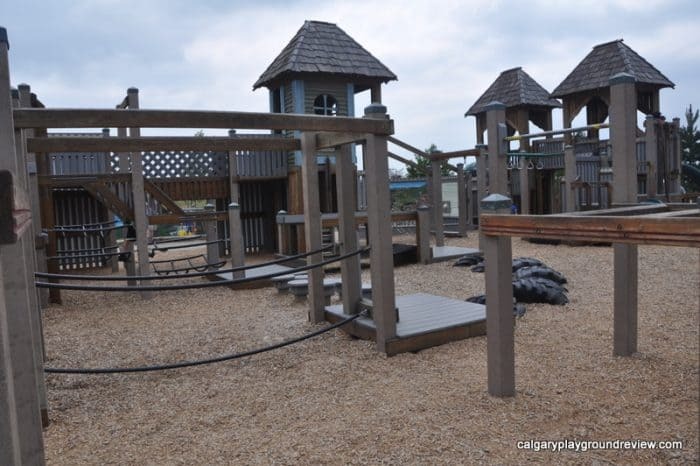 It’s fenced so the exits out of the play area are limited. 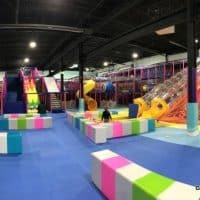 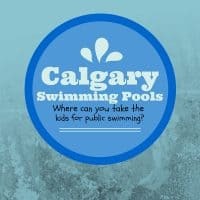 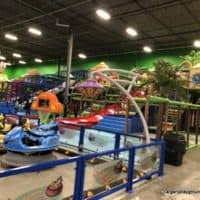 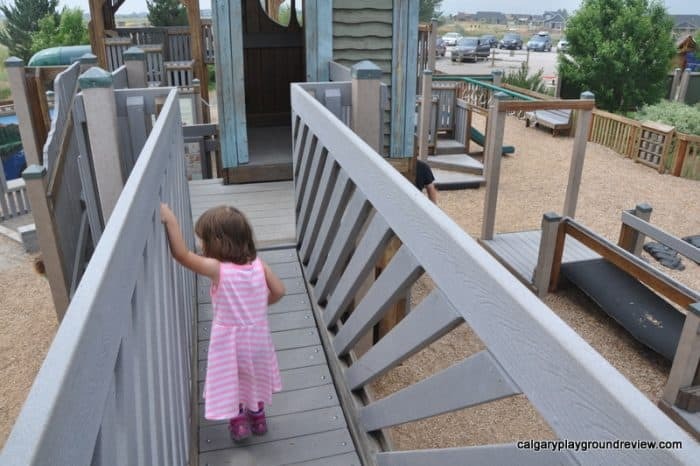 There is a toddler area perfect for kids who like some Independence but aren’t ready for the big play space. 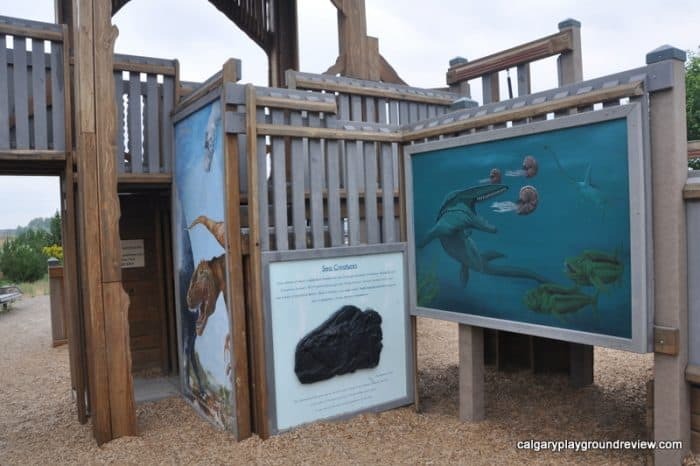 There’s a big dino dig between the two spaces where kids can pretend to be paleontologists. 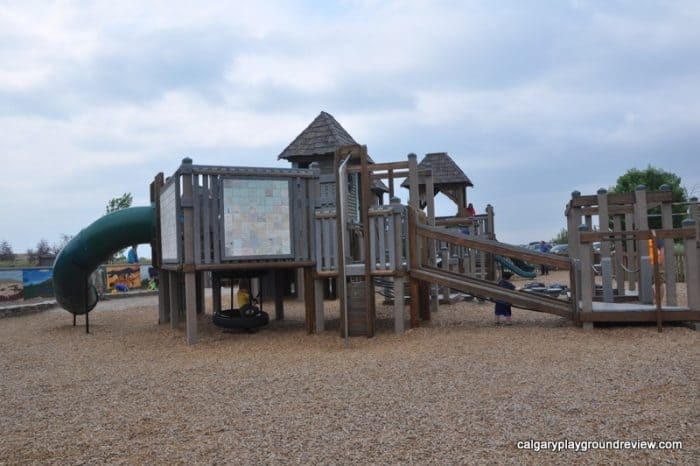 Behind the playground there’s a covered picnic area. 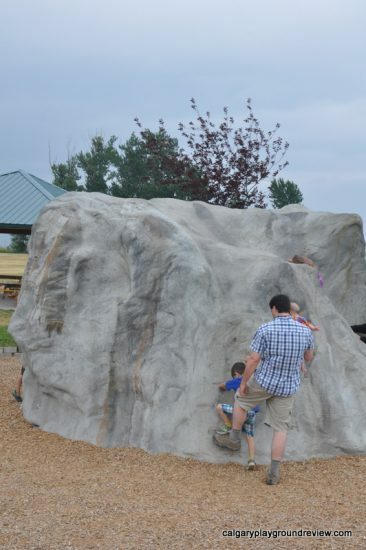 And two big climbing rocks. 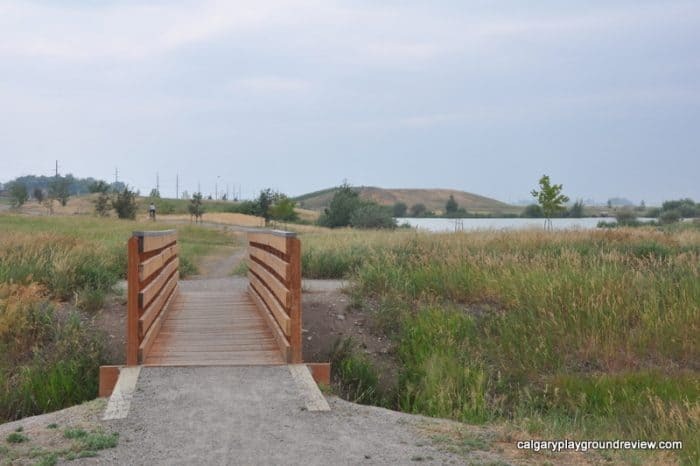 The pathways lead to other places in the park as well as to the skatepark.